(AP) LONDON - Rupert Murdoch's Sky News channel twice authorized its reporters to hack into computers, a potentially embarrassing revelation that could further dent the media tycoon's hope of acquiring full control over satellite broadcaster BSkyB. Sky News said in a statement that in one case it broke into emails belonging to Anne and John Darwin, the so-called "canoe couple" who became notorious in Britain after the latter faked his own death in a boating accident as part of an elaborate insurance scam. The case drew a surge of media interest after John Darwin walked into a London police station in late 2007 and said: "I think I'm a missing person." He claimed to have amnesia and said he could remember nothing since 2000 but his story unraveled as journalists and police started digging. Sky News didn't identify which story was the result of hacking, but in an article dated July 21, 2008, journalist Gerard Tubb said the channel had uncovered documentary evidence showing that John Darwin had decided to come back to England because he was having trouble staying in Panama. "We discovered an email," the article begins, without giving any explanation of how the message was obtained. Sky News said the emails were later handed to police. In a statement Thursday, John Ryley, head of Sky News, said that "we do not take such decisions lightly or frequently" and said the investigation had served the public interest. But the public interest defense immediately drew skepticism from British legal experts. David Allen Green, media lawyer at Preiskel & Co., said that there was no such thing as a public interest defense as far as Britain's Computer Misuse Act was concerned. "It is not possible for the editor of any news organization to authorize criminal acts," said Green, who has frequently criticized Murdoch's News Corp. The revelation, first reported in Britain's Guardian newspaper, is a further headache for Murdoch, whose international media empire has spent the better part of a year in the spotlight over widespread illegal behavior at his now-defunct News of the World tabloid. Murdoch's News Corp. owns a 39.1 percent stake in BSkyB, which owns Sky News, and he was forced to abandon a potentially lucrative bid for full control of the broadcaster after the scandal boiled over in July. 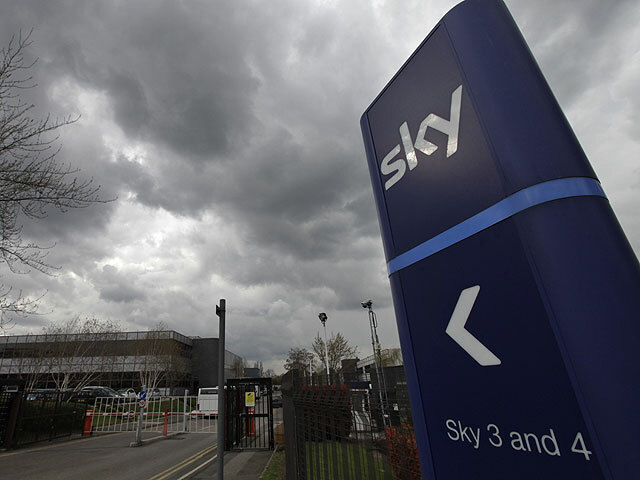 His son James stepped down Tuesday as BSkyB's chairman.